Hope you’re well and in a good position going into December? It’s such a key month in the year; there’s always lots to finish off, stats and reviews to do, the Christmas rush to contend with and the impact of the dark early evenings and Christmas holidays to factor in. Depending on the type of business you’re in, it could be ‘silly season’, or a bit of a wind down, a quieter month ahead of a crazy January. If it is ‘silly season’ for you or you have a lot of holidays to work with, don’t forget we can help you. We have a brilliant team of temporary workers covering all types of roles backed up by our fabulous in-house team coordinating everything. Whether it’s last minute staff illness, planned in holidays or increase workloads, get in touch. It's possible that we can get a temporary worker into a business the same day! We can also work with you on longer term placements and future planned in placements. Our consultants, Sarah Clarke and Ben Young will work with you to skills match your needs and help you to maintain your business standards. We can facilitate placements from just 1 day of work, up to whatever you need. We have people we can get to you across Market Harborough, Kettering, Corby, Lutterworth, Leicester, Northampton and anywhere in between. Get in touch to have a chat about how we can support you. If your business is quieter in December, it’s a great time for us to meet up and have a look through your recruitment strategy for the year ahead. Next year could be different from previous years because of the impact of Brexit but as we know, business carries on and you will have staffing needs and jobs you need to fill. We can help you plan for this in the most efficient and cost-effective way to meet your business goals. If you'll be looking for permanent job recruitment, temporary staff, contract placements or a combination, we can work with you on a plan to make the process easier for you. Message me or your regular Vanilla consultant to book in a consultation or an informal chat through your plans. With the ongoing Brexit negotiations and the economic uncertainty that brings, you might think the recruitment market would have ground to a standstill. But the exact opposite is happening. The number of people placed into permanent jobs in the UK rose at a sharp and accelerated rate in October. At the same time, the need for temp staff expanded at the quickest pace since May. Demand for staff remained historically sharp at the start of the fourth quarter of 2018. Starting salaries continued to rise sharply in October, with the rate of inflation holding close to September's 41-month record. Hourly pay rates for temporary staff also increased markedly. The rise in starting salaries is driven by the overall candidate availability decline. Now at its quickest pace for nine months. I would recommend being savvy. If there are roles you need to recruit for, keep an eye out for similar jobs being advertised and make a note of the salary brackets and packages. When you need to recruit you need to able to compete in the market. And, what’s more, you need to have an attractive enough offer for people to want to move from their current employer. There are much less people in the market actively looking for jobs, but that doesn’t mean they wouldn’t be interested in a move for the right deal. “We’re seeing wages pushed upwards and a trend of canny workers job hopping to secure a pay rise rather than remaining loyal to their existing employers”. I know I’m obviously going to say this, but having a recruitment agency on your side also helps in this market. We take the time to reach out to people and not just hope they see a role advertised. More of a head-hunting approach needs to be taken to tap into that passive market. 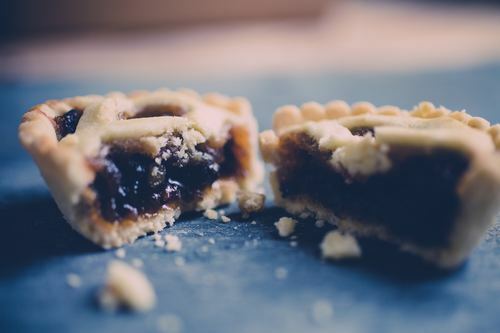 Do you remember our consumer mince pie tasting service from Christmas 2017? Well, it’s back! We’ve all been on an 11-month mince pie detox (we had a lot to taste last year! ), and we’re ready to start sampling again. We kick off our taste tests this week and we’ll be updating you via our social media on our progress and findings. Then we’ll select and announce Vanilla’s Best Mince Pie Christmas 2018. If you have any tips or particular favourites do let me know! This is a new feature I’m going to add in to my monthly blog posts. We regularly get involved with local networking events, and find them great places to meet new and old contacts and have an informal chat about business and recruitment. If you have any events you’d recommend we can feature them next month, just let me know. I wish you all a healthy and prosperous December and I hope you all have a relaxed, happy and special time over the Christmas period with your families and loved ones. I’ll be back in touch in 2019!